Protein: this one is a no-brainer since you’re making the broth out of meat, AKA PROTEIN. Glycine: According to Nourished Kitchen, glycine supports the body’s “detoxification process and is used in the synthesis of hemoglobin, bile salts and other naturally-occurring chemicals within the body.” And according to The Weston A. Price Foundation, it also supports digestion and the secretion of gastric acids. In addition, it may play a role in wound-healing, helping with tissue repair and nitrogen retention. Proline: supports good skin health—especially when paired with Vitamin C! According to Weston A. Price, proline and glycine both contribute to the creation and health of cartilage—the dense, ropey material that cushions your joints by providing essential amino acids. And Floliving claims that these nutrients actually support hormone health, allowing your body to get rid of excess hormones, such as estrogen, and thereby boosting your fertility. Calcium & Collagen: Like proline and glycine, calcium is necessary for hormone-balancing. Collagen, as we all know, is good for your skin, repairing your cells and tissues. Gelatin: this usually elicits an “ich!” from most people, but gelatin is actually the thing that most efficiently combines glycine and proline, and so carries with it all the benefits mentioned above—skin, bone and digestive health, detoxification, tissue repair. It is also high in protein—although it does not replace protein. So don’t turn your nose up at it! 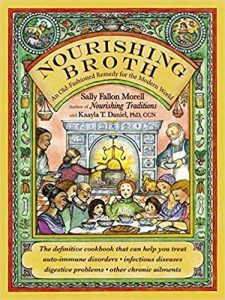 I LOVE bone broth and recommend it to my patients often for a variety of reasons. In Chinese medicine, bone broth supports our vital essence (DNA), and qi (the body’s energies that ignite all body functions). 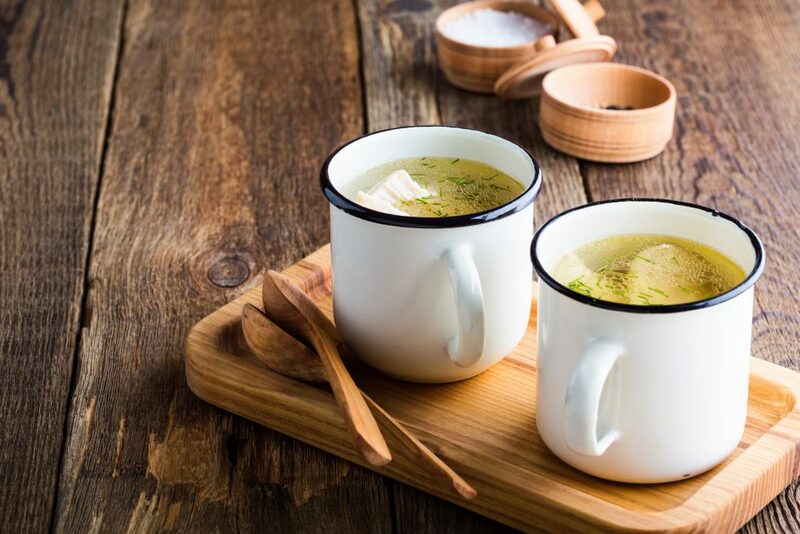 Bone Broth mostly benefits the liver and kidney energies by strengthening bones and vital essence, increasing blood (iron), supporting joint, digestive and reproductive health. Patients often ask me what kind of bones they should cook and if it matters. According to Chinese medicine nutritional therapy, different types of bones produce different reactions in the body. Here is a breakdown of each and how they affect your body from a Chinese medicine perspective to help you decide which is best for you. BEEF: Beef is warming in nature, strengthens digestion, builds blood (iron), strengthens overall qi (energy), strengthens tendons, ligaments and bones. CHICKEN: Chicken is warming, benefits digestion, strengthens overall qi (energy), improves bone marrow, aids lactation. Recommended during cold/flu, for poor appetite, diarrhea and weakness after childbirth. LAMB: Lamb is hot in nature and best during the fall and winter. Avoid lamb during cold or flu as the hot nature can make the condition worse. Strengthens weakness (weakness from childbirth, anemia, low body weight) and lower back pain. PORK: Pork is neutral in temperature, strengthens digestion and moistens dryness in the body such as a dry cough, constipation. So how do you make a good bone broth? Bone broth is fairly simple, all you need is a Crock-Pot or just a large pot. I personally use a large Le Creuset or my Crock-Pot if it’s a busy week. I haven’t yet tried it myself but I’ve heard rave reviews about the Instant pot a mix between a crock pot and pressure cooker. The Instant Pot makes healthy delicious meals in a short time. I’ve heard you can make bone broth in 30 minutes! This is on my list and I’ll report back to you soon! Living in New York City I understand people are busy and on the run so here is a recipe from one of my favorite books on bone health by a leader in the nutrition field and founder of the Natural Gourmet and Cookery School in NYC, Ph.D. Anne Marie Colbin. It’s from Anne’s book The Whole-Food Guide to Strong Bones: A Holistic Approach (The New Harbinger Whole-Body Healing Series). Makes about 3 quarts of stock and 6 to 8 edible bones. Combine the chicken, bay leaves, rosemary, thyme, and boiling water in a slow cooker, cover, and cook at the high setting for 4 hours. With tongs, transfer the chicken to a large bowl. When it has cooled a bit, remove the meat from the bones and store it in a covered container in the refrigerator for another use. Return the bones to the slow cooker, along with all the knuckle gristle and skin. Add the vinegar. Cover the pot and cook on the low setting for 20 hours. 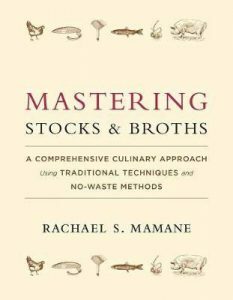 Strain the stock, reserving the bones and discarding the other solids. Store the bones in the refrigerator in a covered container. Cool the stock overnight in a covered container in the refrigerator, then remove the fat from the top and store in the refrigerator for up to 3 days, or in the freezer for up to 3 months. 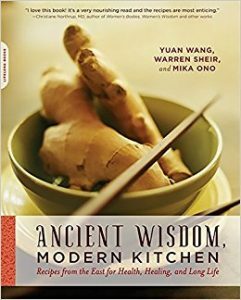 To get you started below are a few of my favorite broth books. 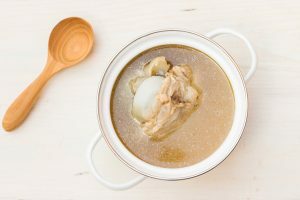 This entry was posted in Chinese Medicine, Health & Wellness, Nourish, Nutrition and tagged bone broth, bone health, broth, essence, kidneys, liver, nourish, nourishing broth, soup, vitality. Big Magic. Creative Living Beyond Fear. The Most Inspiring Book I’ve Read All Year.